Context: Debate continues regarding fluid (crystalloid vs. colloid) of choice for resuscitation. Physiological and Operative Severity Score for enUmeration of Mortality and Morbidity (POSSUM) may be used to compare the benefits of preoperative fluid resuscitation with crystalloids and colloids in peritonitis patients. Aims: The aim of this study is to compare crystalloid and colloid for preoperative resuscitation using morbidity, mortality, length of hospital stay (LOS), and time taken to resuscitate as the outcome parameters. Settings and Design: This was a prospective randomized clinical trial. Subjects and Methods: One hundred and seven peritonitis patients were prospectively randomized to fluid resuscitation by crystalloid (Group A) and colloid (Group B) solutions. Physiological score component of POSSUM was recorded before and after fluid resuscitation; operative score component was recorded at discharge/death. These scores were then used to calculate the predicted morbidity and mortality before and after the fluid resuscitation. Statistical Analysis Used: Effect on morbidity and mortality were compared by repeated measure analysis of variance, and its significance was tested by Tukey's test. LOS and time taken to resuscitate were compared using unpaired t-test. Significance was taken at 5%. Results: Fluid resuscitation improved mean predicted morbidity by 0.095 and 0.137 in Group A and Group B, respectively. Similarly, fluid resuscitation improved predicted mortality by 0.145 and 0.185 in Group A and Group B, respectively. These changes were statistically significant. Improvement in morbidity and mortality appeared greater in Group B. No difference was found in the two groups for LOS and time to resuscitate. Conclusions: Preoperative fluid resuscitation using either crystalloid or colloidal solutions decreases morbidity as well as mortality in peritonitis patients. 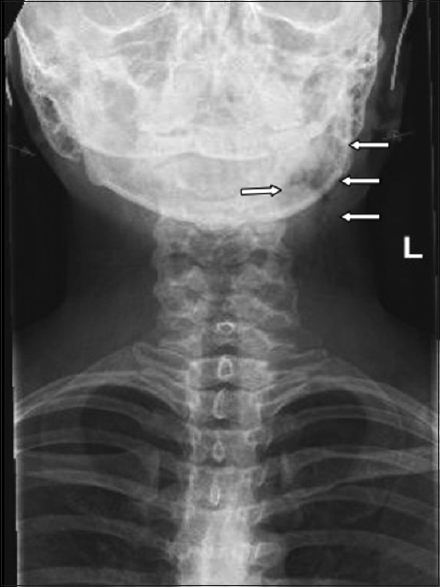 Background: Cervical spine fractures occur in 2.6% to 4.7% of trauma patients aged 65 years or older. Mortality rates in this population ranges from 19% to 24%. A few studies have specifically looked at dysphagia in elderly patients with cervical spine injury. Aims: The aim of this study is to evaluate dysphagia, disposition, and mortality in elderly patients with cervical spine injury. Settings and Design: Retrospective review at an the American College of Surgeons-verified level 1 trauma center. Methods: Patients 65 years or older with cervical spine fracture, either isolated or in association with other minor injuries were included in the study. Data included demographics, injury details, neurologic deficits, dysphagia evaluation and treatment, hospitalization details, and outcomes. Statistical Analysis: Categorical and continuous data were analyzed using Chi-square analysis and one-way analysis of variance, respectively. Results: Of 136 patients in this study, 2 (1.5%) had a sensory deficit alone, 4 (2.9%) had a motor deficit alone, and 4 (2.9%) had a combined sensory and motor deficit. Nearly one-third of patients (n = 43, 31.6%) underwent formal swallow evaluation, and 4 (2.9%) had a nasogastric tube or Dobhoff tube placed for enteral nutrition, whereas eight others (5.9%) had a gastrostomy tube or percutaneous endoscopic gastrostomy tube placed. Most patients were discharged to a skilled nursing unit (n = 50, 36.8%), or to home or home with home health (n = 48, 35.3%). Seven patients (5.1%) died in the hospital, and eight more (5.9%) were transferred to hospice. Conclusion: Cervical spine injury in the elderly patient can lead to significant consequences, including dysphagia and need for skilled nursing care at discharge. Background: Despite having a dedicated Plastic Surgery Unit, emergency physicians (EPs) manage many of the acute, traumatic hand injuries. Further very minimal information exists about the extent to which tetanus recommendations as per Advisory Committee on Immunization Practices are followed in emergency departments (EDs). Furthermore, the management of pain is often neglected. Objectives: To provide a clinical description of hand injuries with etiology and mechanism; and describe the trends of ED management, including analgesia and tetanus prophylaxis. Methodology: Records of eighty patients with hand injuries were reviewed. SPSS version 18 was used for statistical analysis. Wilcoxon signed rank test, and Pearson Chi-square test were used to compare left with right-hand injuries and validate associations, respectively. Results: The mean age of the patients was 27.41 years and median delay in presentation was 2 h. Occupational injury was the predominant mode of injury (74%) most patients (59 of the 86) received intravenous analgesia; while very few (6) received local anesthesia and (24) received no analgesia at all. A majority of patients (56) received tetanus toxoid prophylaxis, while only four patients (4.6%) also received tetanus immunoglobulin intramuscular. Most patients (71%) were admitted, while only a small number of patients (14%) were discharged from the ED. Conclusion: Proper training and sensitization towards the need and technique of anesthesia (particularly local anesthesia) would improve the quality of patient care. Printed guidelines and periodic review of the charts would help to overcome poor adherence to tetanus prophylaxis. Hand injuries could be managed better by the EP, with training through rotations to the Plastic Surgery Unit. Context: Children with recurrent wheezing contribute to a significant burden of inpatient hospital admission in developing countries. However, many patients could be managed at home following a short observation period in emergency unit. 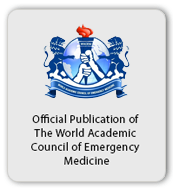 Aim: This study aimed to determine the predictors of critical care admission in a population of children aged 6 months to 2 years attending pediatric emergency department (ED) for recurrent wheezing. 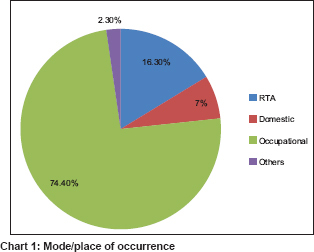 Setting and Design: This is a case–control study conducted in pediatric ED of a tertiary care center in North India. Patients and Methods: Demographic and clinical details were recorded for children aged 6 months to 2 years who presented to ED for “recurrent wheezing” within 48 h of onset of symptoms. Those who were admitted to critical care unit were considered cases and those who were discharged within 6 h of stay at short observation units of ED were considered controls. Statistical Analysis: Logistic regression model was used to determine which of the various demographic and clinical factors best predicted the need for critical care admission. Results: The cases (n = 58) had significantly higher number of emergency visits in the preceding 1 month (P = 0. 018), had more episodes of wheezing in the last 3 months (P = 0.025), had higher respiratory rate (P < 0.001), and had higher clinical severity score (P < 0.001) when compared to control (n = 58) group. Logistic regression model revealed incomplete immunization status of children (P = 0.005) to be a significant risk factor that determine the need for critical care admission. Conclusion: The present cross-sectional study with limited sample size revealed incomplete immunization status of children to be a significant risk factor that determined the need for critical care admission among children below 2 years of age presenting to ED with recurrent wheezing. Primary omental infarction (POI) is a rare cause of acute abdomen. Most patients have aggravating abdominal pain without gastrointestinal symptoms. Here, we report a case of omental infarction in a 50-year-old woman, who had left abdominal pain and intestinal obstruction. Preoperative computed tomography (CT) of the abdomen showed a left ovarian cyst measuring 6.0 cm × 4.5 cm but otherwise seemed normal initially. The white blood cell count was 9.71 × 109/L, and D-dimer was 1.58 mg/L. Laparoscopic exploration was performed 1 day after admission because of peritonitis and intestinal obstruction. During the exploration, a segment of congested necrotic omentum was found adhering to the abdominal wall with a segment of small intestine. Bloody ascites was also observed in the abdominal cavity. We resected the nonviable segmental omentum, and the ovarian cyst was removed by the gynecologist using laparoscopic procedures. Final pathological findings confirmed POI. While reanalyzing the preoperative CT, a segmental fat mass with an increased density was noted in the left lower quadrant, which was consistent with the intraoperative view 6 days after surgery. The patient recovered uneventfully and was discharged. Dental procedures, though commonplace and usually very safe, are not without complications. We report on a case of extensive cervicofacial and mediastinal emphysema after a routine dental procedure, initially masquerading as an allergic reaction in an otherwise young and healthy woman. A review of the relevant literature on this clinical entity is presented, which serves to underscore the need for awareness by the treating clinician of this condition and its potential sequela. Delirium is characterized by impaired cognition with nonspecific manifestations. In critically ill patients, it may develop secondary to multiple precipitating or predisposing causes. Although it can be a transient and reversible syndrome, its occurrence in Intensive Care Unit (ICU) patients may be associated with long-term cognitive dysfunction. 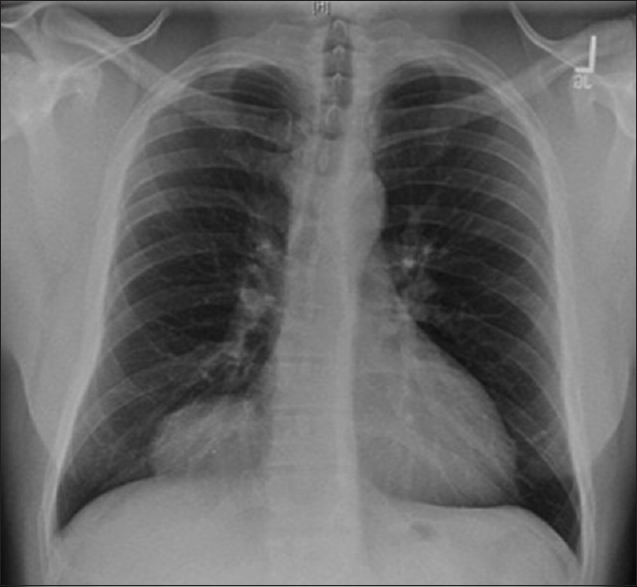 This condition is often under-recognized by treating physicians, leading to inappropriate management. For appropriate management of delirium, early identification and risk factor assessment are key factors. Multidisciplinary collaboration and standardized care can enhance the recognition of delirium. Interdisciplinary team working, together with updated guideline implementation, demonstrates proven success in minimizing delirium in the ICU. 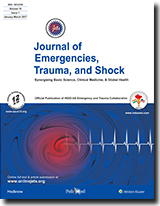 Moreover, should the use of physical restraint be necessary to prevent harm among mechanically ventilated patients, ethical clinical practice methodology must be employed. This traditional narrative review aims to address the presentation, risk factors, management, and ethical considerations in the management of delirium in ICU settings.